Youichiro Miyake thinks improved AI for crowd NPCs is around the corner. 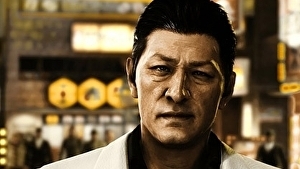 Sega has unveiled Yakuza spin-off Judgment's newly revised character model for crime boss Kyohei Hamura, which was overhauled following the on charges of cocaine use and possession last month. Japan's drug laws are strict, and there's enormous social stigma around those that break them. As such, Taki's arrest quickly spurred Sega into withdrawing all copies of Judgment from sale, and other companies followed suit. Square Enix said it would patch Taki's lines out of Kingdom Hearts 3 (he voices Frozen's Olaf), and Disney even pulled its Frozen Blu-ray from shelves. Following its decision to suspend sales of Judgment, Sega released a statement explaining that "due to unforeseen circumstances", the character model and Japanese voice for the character of Kyohei Hamura would be "adjusted" prior to the game's Western release. Twinfinite: "Dissidia Final Fantasy Opera Omnia is one of Square Enixs many mobile games and one of their biggest crossover titles yet. This spin-off offers tactical turn-based combat based on the Dissidia series and follows its own main story surrounding the core characters from the Final Fantasy franchise." It's official: Octopath Traveler, Square Enix's hit Nintendo Switch RPG, will be arriving on PCs this June. Octopath Traveler, Square Enix's celebrated retro-ish J-RPG, will be throwing off the shackles of Switch exclusivity on June 7th - when it comes to PC via Steam. That's not exactly a huge surprise, given that Square managed to leak the news on its own website last week, but at least we now know that nothing has changed since then. And it's welcome news too, given that Octopath Traveler is a generally superb effort on Square's part, and one of the more eye-catching J-RPGs of recent times. 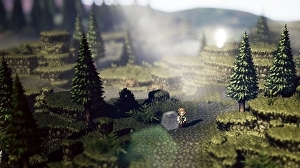 Octopath Traveler, which debuted on Switch last July, has two big tricks up its sleeve: the first is its gorgeous, immediately striking art style, which reimagines the classic 16-bit J-RPG aesthetic into full 3D - with chunky pixels still in tact (Square calls this "HD-2D").